Engagement Lab, an applied research and design lab associated with Emerson College that investigates and creates media and technology to reduce disparities in civic participation, announced via a twitter thread the launch of Making a Smart City Civic, an open toolkit to ensure smart cities serve all of us. From sensor tech to autonomous cars, cities everywhere seem to be getting smarter — with or without the participation of the people who live there. 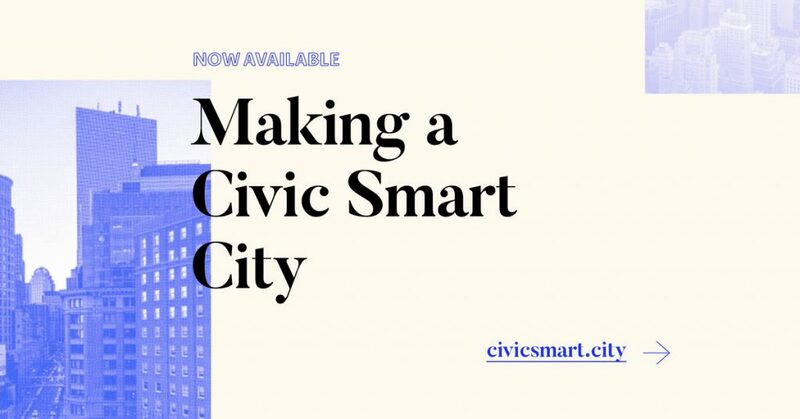 That’s why we’re helping to launch Making a Civic Smart City, an open toolkit to ensure smart cities serve all of us. New technologies promise that collecting data about the places we live will make them safer, more efficient, and more convenient. But unless they’re implemented carefully, smart city technologies also pose a huge threat to the things we love about the places we live. Technologies like these might seem neutral and objective, but in reality, can often reflect and enforce bias. There are plenty of examples of this in the news — you might remember when we talked about racially biased facial recognition tech. As technologists and city leaders, we have a responsibility to design and implement smart city technologies responsibly and ethically. That’s a big question. To answer it, we collaborated with other amazing institutions to hold a symposium called Right to the Smart City. We brought together diverse perspectives from multiple locations and disciplines to tackle the complexities of smart city design. After the symposium, we wrote a whitepaper detailing our findings, including five key “plays” to ensure a widespread right to the smart city. Additionally, we built a workshop guide to help municipalities create local playbooks that give the public a voice in how new technologies are integrated into their neighborhoods. Both of these resources are available for free, starting today. To help ensure these resources become a part of smart city design processes in the real world, we’ll be holding in-person workshops in Philadelphia, Boston, Detroit, and Charlotte in the coming months. Live in a different city? No problem. We’ll be holding a webinar as well. To attend any one of these events, you can sign up for more information using this link. Creating these resources was only possible thanks to the hard work & dedication of our amazing partners. Thanks so much to everyone from @knightfdn @BKCHarvard @UWaterloo and @ASU_CSCR for your efforts. When we work together, we have the opportunity to build a future that’s as inclusive and ethical as it is advanced and efficient. We’re proud to be a part of this crucial work, and can’t wait to see what cities will build when everyone has a seat at the table.